So after many reports surfacing on the internet I decided to the test the theory that only 1 out of the 10 Majestic Map Pack Achievements for Halo 4 could be unlock through Custom Games instead of the usual DLC Matchmaking requirement. In Majestic DLC matchmaking, perform 5 ‘airsassinations’. Well, looks like there’s a glitch in the achievement matrix. No need for the blue or red pill. The Bird of Prey Achievement, which requires 5 air assassinations can be unlocked through Custom Games. Hello everyone. Just thought I’d give my thoughts on the new Halo 4 Majestic Map Pack that was launched February 25th. In the video I talk about all things Majestic: the maps, playlists, new game variants, and the achievements. While also comparing it to the previous Crimson Map Pack. 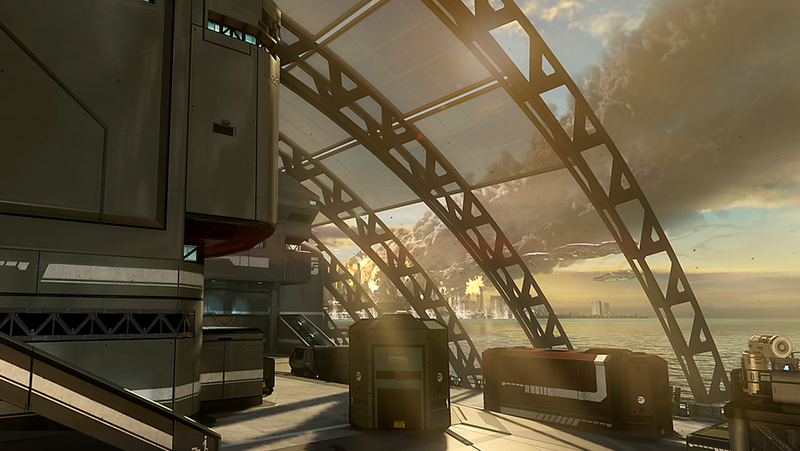 The video features Infinity Rumble Gameplay (a new FFA variant) on one of the new maps, Skyline. Hopefully you find this helpful as a buying decision tool. The map pack costs 800 Microsoft Points or “Free” if you own the War Games Map Pass (2000 Microsoft points or Limited Edition copy of Halo 4). PS. There is 1 Map Pack left, the Castle Map Pack, which has a rumored release date of April 1, 2013. Hopefully that’s not a joke. Thanks to MixMaker117 for making a complete guide to help everyone get the new Majestic Map Pack achievements added to Halo 4. 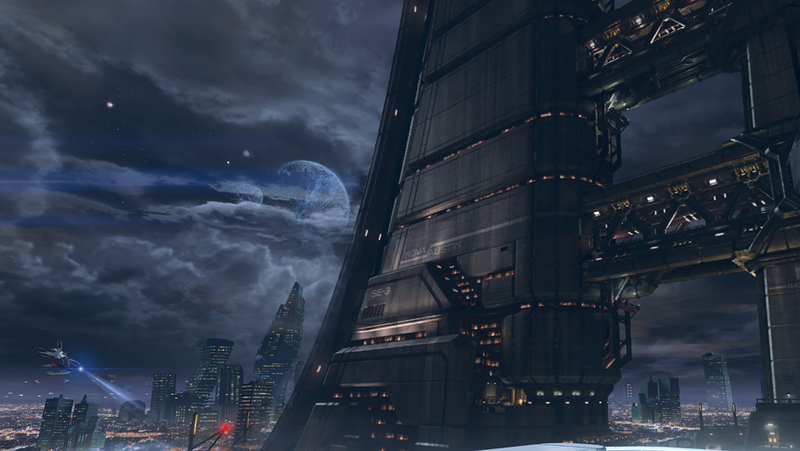 Here is a link to the list of the Majestic Map Pack Achievements added to Halo 4. ** Disclaimer: I do not condone “boosting”, these achievements were earned properly and primarily via the Majestic FFA DLC playlist where he was playing with friends along with others. Back again with another Halo Waypoint code that has been discovered. This was discovered via the Majestic Map Pack. As far as the community knows there are no requirements to be able to redeem this code (You may need the Majestic Map Pack, not 100% sure). This code will give you 25,000 XP for Halo 4 and unlock some concept art for the Majestic Map Pack for you to view! So take the code enter it here and enjoy your free 25k XP or enter it via the Halo Waypoint App on the Xbox through the classified section. The Majestic Map Pack DLC achievement list was posted today by Bravo over at Halo Waypoint. There are a total of ten brand new achievements, totaling 250 gamerscore. These achievements will be released alongside the Majestic DLC on Monday. In Majestic DLC matchmaking, call in 3 ordnance drops during the same game. In Majestic DLC matchmaking, perform a melee kill right after using Thrust Pack. In Majestic DLC matchmaking, assassinate an enemy who’s in zoom mode. In Majestic DLC matchmaking, get the ‘Close Call’ medal twice during one match. 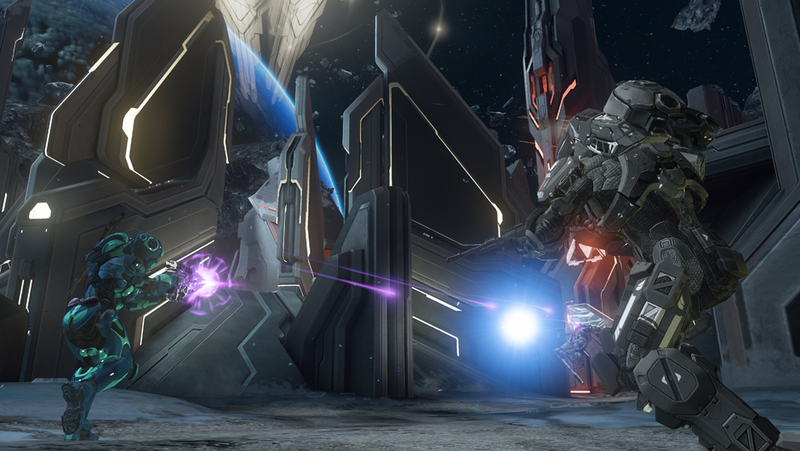 In Majestic DLC matchmaking, kill 5 enemies while Promethean Vision is active. In Majestic DLC matchmaking, kill 5 enemies while Active Camo is active. In Majestic DLC matchmaking, get a Double Kill or higher with one Pulse Grenade. In Majestic DLC matchmaking, get 4 kills using the SAW without dying. In Majestic DLC matchmaking, kill 3 enemies while they are using Jet Packs. Back again with another look at this weeks Halo Waypoint Bulletin. This time we have information in regards to the Majestic Map Pack, Playlists, and the February Title Update (which I’ll post separately here). You can read the Bulletin in its entirety here but here are the highlights! Read more for the settings for each playlist, map, and game variant! Here we have 3 walkthroughs of the maps Landfall, Skyline, and Monolith from the Majestic Map Pack courtesy of IGN. And we also have raw gameplay from a free–lance reporter from IGN who was also invited to try out these maps. Remember this is about “seeing” the maps, not about the gameplay. These are reporters and not MLG players. So keep that in mind. Also take note in the new FFA game variant Infinity Rumble shown on Monolith. Infinity Rumble is a free-for-all variant with a score to win of 250 points, 50 less than Regicide. It also has the Infinity Multiplayer system incorporated allowing for players to earn personal ordnance. I can’t wait to play these maps February 25th. Make sure you check out my YouTube channel where I’ll be showing some gameplay from these maps soon! Normally with the release of a Map Pack for Halo we expect at least one DLC exclusive playlist to get our feet wet with the new maps. However, this time around we are getting 2 DLC Playlists and we have an early announcement (pre-Halo Bulletin announcement) of one game variant being added along side with the Majestic Map Pack, Infinity Rumble. Custom Game / Forge issue where people cannot adjust respawn timers and remove instant respawn. Expect more details late tonight or tomorrow with the release of this weeks Halo Waypoint Bulletin which will have plenty of details about the Majestic Map Pack, Title Update, and more playlist information! For those who stayed up late like myself, 343 just released a behind the scenes look at Halo 4’s next DLC, The Majestic Map Pack. As well as tons of screenshots. The Majestic Map Pack will launch February 25th and will cost 800 Microsoft Points. It will be included for “free” to those who purchased the war games map pass. The map pack brings you 3 new small-to-medium sized maps and a new mode, Infinity Rumble, to the Halo 4 War Games experience. These close-quarter maps shine in small team play and free-for-all. As for the new game mode “Infinity Rumble” there are no details, but we should expect to see details in this upcoming bulletin as well as more details about the map pack. I’m speculating either an Infinity FFA variant or an Infinity Objective variant. Share your thoughts! UPDATE: Infinity Rumble is a FFA variant with Infinity aspect added. i.e., personal ordnance. Skyline: Smallest map for Halo 4. 2 Bases on 2 different levels. Great for 2v2 and 4v4. Skyline puts you in the air on a new construction site, and its distinctly industrial surroundings and sky-high locale provides new challenges in confined spaces. Skyline, perched high above the sights of reconstruction in Cascade’s capital city, is small and symmetrical: Perfect for Regicide, with a mixture of high and low spaces and plenty of cover. Monolith: Arena style map, 4 base symmetrical. 2 bases different from the other 2. Monolith is an open battlefield; a Forerunner monument that exposes you to the naked vacuum of space – and the firepower of opposing teams. Monolith harkens back to more classic Halo arena-based maps, and its symmetry lends nicely to objective-based modes like Capture the Flag. Monolith is an open battlefield; wherever you look, you will witness the ferocious action that only a small and open map can provide. Landfall: Asymmetrical, mid-size map. Contains both indoor and outdoor areas. Landfall’s emphasis is on infantry battles amidst a glittering ocean and a city under siege on a distant world. Perfect for Infinity Slayer, this small-to-midsize asymmetrical map offers interiors with sparse cover, which encourages close-range combat, while the exteriors offer long lines of sight to stalk your opponents. Thanks to some savvy tech people out there, images of Halo 4’s next DLC, the Majestic Map Pack, have been leaked. Here we gets some great, but brief, looks at the maps that will be in the DLC. We are expecting the map pack to be released February 25th and expecting a trailer video to be released sometime this week. Enjoy! Side note. These maps are going to be small to medium sized maps, as opposed to the Crimson Map Pack which had medium to large sized maps.